A tree worker has been given a suspended prison sentence after a worker suffered serious head injuries when a large branch fell on his head. Perry Regan climbed a ladder to a height of six metres, and cut branches from a tree with a chainsaw. One large branch fell from the tree and landed on his employee’s head, severely injuring him. The worker needed to be placed in an induced coma and suffered multiple injuries, including skull fractures and the loss of sight in one eye. An investigation by the Health and Safety Executive (HSE) found that Regan was not competent or qualified to carry out, manage or supervise such work. Regan was using a chainsaw without being qualified to do so, the work was not properly planned to identify risks, nor was adequate training or instruction given to the operatives. 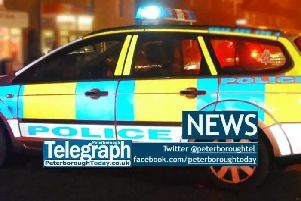 Yesterday Regan, of Toppers Garden Services, of Churchfield Road, Outwell, Wisbech, appeared at Peterborough Magistrates’ Court where he pleaded guilty to breaching Section 3(2) of the Health and Safety at Work Act 1974 and was sentenced to 20 weeks in prison, suspended for 18 months. He was ordered to pay costs of £2,000 and a victim surcharge fee of £115.